Ffos Las Racecourse RacecourseFfos Las Racecourse is a sports, events and conferencing venue, and is a fantastic location for corporate events, weddings, functions, concerts and other occasions. Ffos Las Racecourse opened in 2009 and brought back top class racing to West Wales for the first time since 1937. The track provides a racing surface to rival any course, and has the benefit of state of the art drainage and irrigation it has been created to provide a superb racing surface and uninterrupted viewing opportunities of the track. The 600 acre setting is magnificent. Surrounded by rolling hills and countryside it has views down the Gwendraeth Valley to Carmarthen Bay. 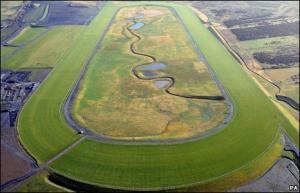 It is almost impossible to believe that Ffos Las was the former site of the largest open cast coalmine in Europe. Ffos Las Racecourse opened in 2009 and brought back top class racing to West Wales for the first time since 1937. Prices vary each raceday, with admission tickets starting from £10 when booked in advance and hospitality starting from £45.